Online car rental startup My Taxi India (MTI) Pvt Ltd has raised $500,000 in pre-Series A funding from Japan's largest taxi company Nihon Kotsu Co.
MTI was co-founded by Anshuman Mihir, Mohit Rajpal and Satyakam Rahul in 2012. 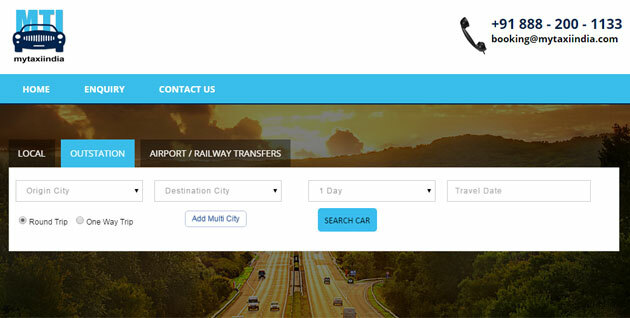 It offers taxi rental solutions for city tours, outstation travel and holidays, for both B2B and B2C clients. The company claims to have 4,000 taxis operating across 102 cities through its affiliates. In June, MTI received seed funding of $100,000 from Green House Ventures (GHV) Accelerator and was part of the latter's 12-month acceleration program. GHV had picked up 20 per cent equity in the company. "Thanks to GHV, MTI has been able to secure this round of funding by one of the oldest companies of Japan, Japan Taxi. We are lucky that the timing has been just right for us. With the Indian taxi market at its zenith, we feel that we have made a good choice with GHV and we are getting validation for our model from a company like Nihon Kotsu," said Mihir, co-founder of MTI. The Indian car rental market, though largely unorganised, is currently pegged at $9 billion. MTI would compete with the likes of Uber, Ola, Zoomcar, Meru and others for the organised pie of the market. Nihon Kotsu is an 80-year old service provider that operates limousines across Japan. It has a fleet of over 1,600 black and yellow taxis in Tokyo alone. GHV Accelerator Program, started by serial entrepreneur and Indian Angel Network member Vikram Upadhyaya, mentors startups with a $100,000 seed fund. Started in 2014, GHV plans to onboard 25 startups by early 2017. Each startup gets an opportunity to showcase its offerings to Japanese institutional investors. Recently, GHV facilitated pre Series-A funding of $500,000 for LazyLad, the first startup for its accelerator programme. MyTaxi India Pvt. Ltd. Nihon Kotsu Co.